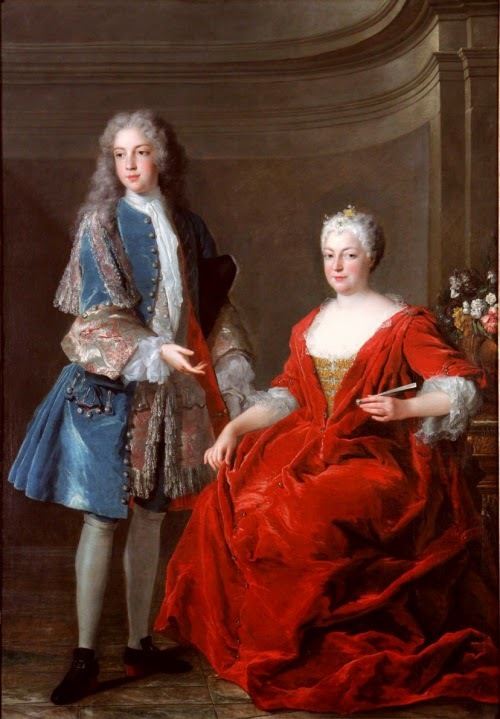 Did you know that both Marie Antoinette and Louis XVI descended from Philippe, Duc d’Orléans, better known as “Monsieur”, the younger brother of Louis XIV? The brave soldier with a penchant for young men and fashion had married twice. From his first marriage to Princess Henrietta Anne of England, the youngest daughter of the unfortunate English king Charles I, descended Louis XVI. 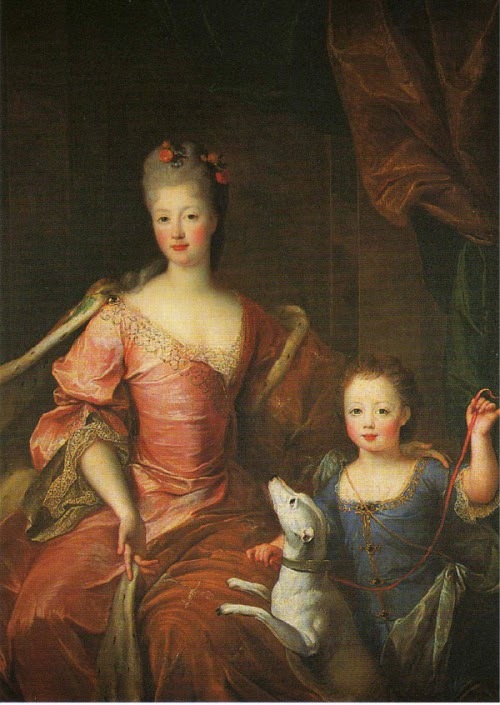 Marie Antoinette, instead, was the great granddaughter of Philippe and his second wife, Princess Elizabeth Charlotte, known as Liselotte. 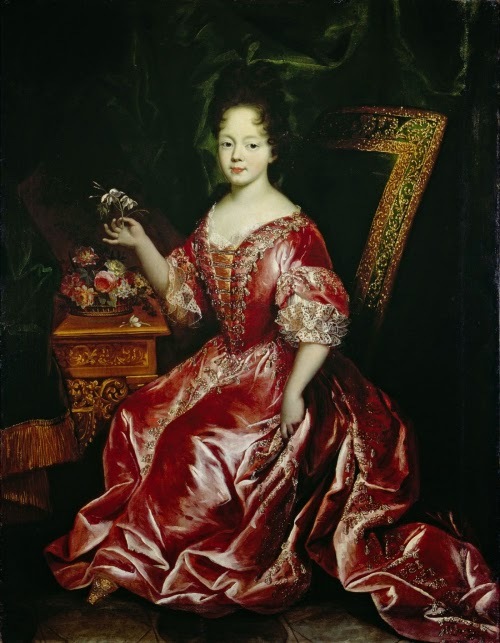 Through Liselotte, who was the granddaughter of Elizabeth of Bohemia, James I’s daughter, Marie Antoinette inherited some Stuart blood as well. 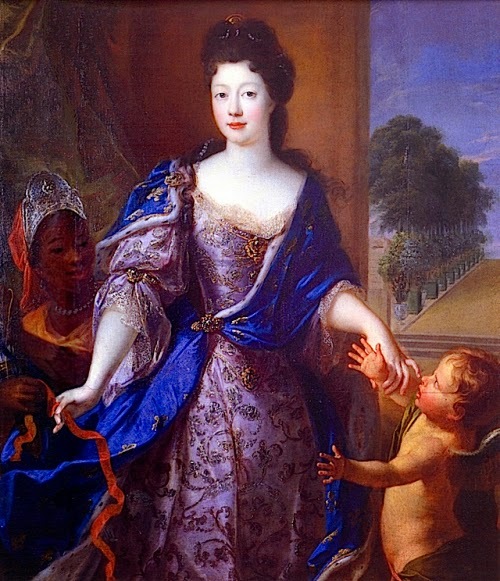 The only daughter of Monsieur and his second wife, Élisabeth Charlotte d’Orléans was born on the 13th of September 1676 at the Château de Saint-Cloud. From birth she was given the courtesy title of Mademoiselle de Chartres, which she swapped for that of Madame Royale, her due as the most important unmarried princess in France, after her half-sisters from her father’s first marriage had tied the knot with foreign royals. Élisabeth Charlotte’s appearance betrayed her true nature. The pretty brunette was always impeccably dressed, looking every inch the French princess she was. But, behind her silks and brocade, lied a wild heart. Élisabeth Charlotte was a bit of a tomboy, too frank and honest for her own good, and with a wilful temperament that made her parents despair. Despite her rebellious nature, the princess was a great catch. Several suitors to her hand were proposed. Joseph of Bavaria, the younger brother of the Dauphine, was rejected by Élisabeth Charlotte herself, who thought it demeaning for her to marry a mere younger son. 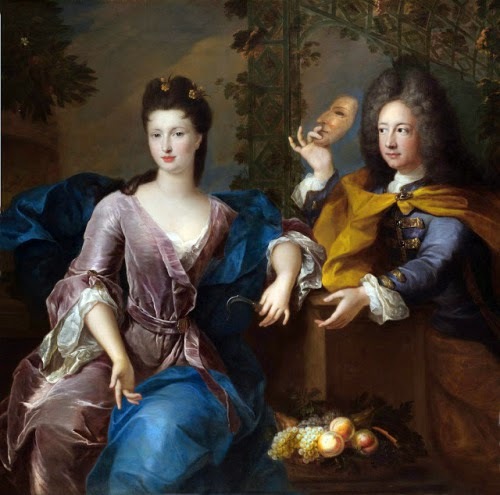 The Duc de Maine, son of Athénaïs de Montespan, was quickly turned down by Élisabeth Charlotte’s mother, who was still furious that her eldest son had married one of the daughters of Louis XIV and his mistress. King William III of England and the Emperor Joseph I were also suggested as potential husbands, but nothing came of these proposals. 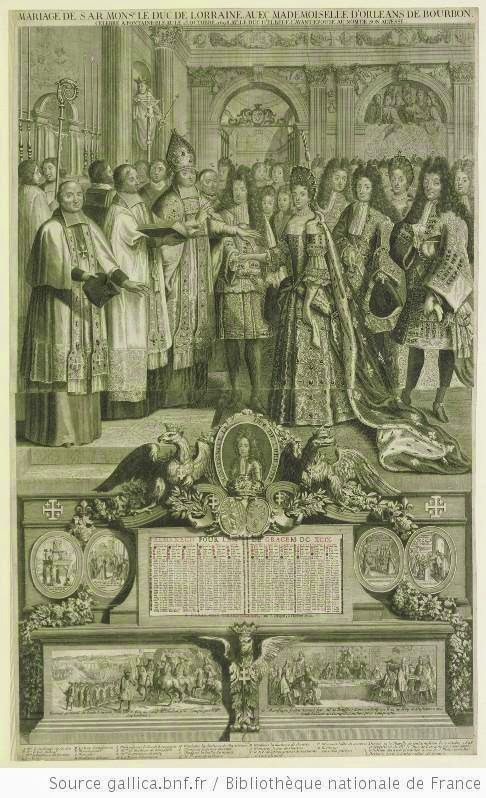 Élisabeth Charlotte was 22 when she eventually married in a lavish ceremony at Fontainebleau, Leopold, Duc de Lorraine, on the 13th of October 1698. The couple settled at the gorgeous Château de Lunéville near Nancy, which, thanks to her husband’s rebuilding programme, became known as “the Versailles of Lorraine”. They were happy there. Although theirs had been an arranged marriage, Élisabeth Charlotte and Leopold fell in love and had a mostly happy marriage. But they had their problems, especially when Leopold started an affair with Anne-Marguerite de Lignéville, Princess of Beauvau-Craon. Liselotte advised her daughter to turn a blind eye, like wives had done for centuries, but that must have been doubly difficult for a woman who had a wilful spirit and was deeply in love with her husband. Eventually, Leopold broke up with his mistress and reconciled with his wife. The couple had 13 children, but not all of them survived childhood. Élisabeth Charlotte and her husband were devastated when three of them died of smallpox within a week. Smallpox would also claim the life, years later, of their eldest son and heir, Léopold Clément. The new heir François-Étienne inherited his title, lands, and responsibilities at 20, but spent a lot of his time at the court of Vienna, where he fell in love with the future empress Maria Theresa. There was only one obstacle to the union. 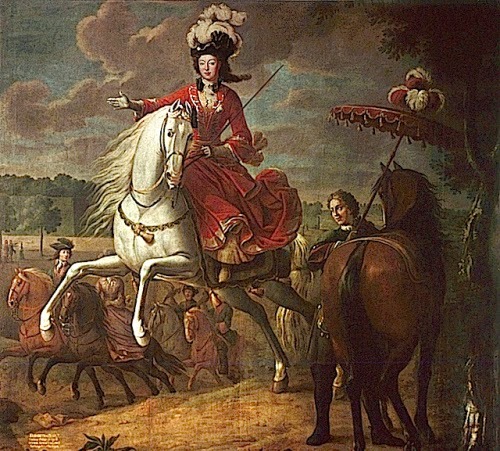 In order to marry the future empress, François-Étienne had to surrender Lorraine back to France. It was a painful decision. After a lot of hesitation, and reluctantly, he finally signed the marriage contract. As a tribute to the land of his birth, all his children bore the name Hapsburg-Lorraine. Élisabeth Charlotte, who had acted as regent in the duchy during her son’s absence, was devastated at losing Lorraine too. In an attempt to please her, Louis XV turned Commercy, where the princess took up residence, into a Principality. She died in the Château de Commercy on the 23rd of December 1744, and was laid to rest in the chapel of Saint-François-des-Cordeliers in Nancy, beside her husband.